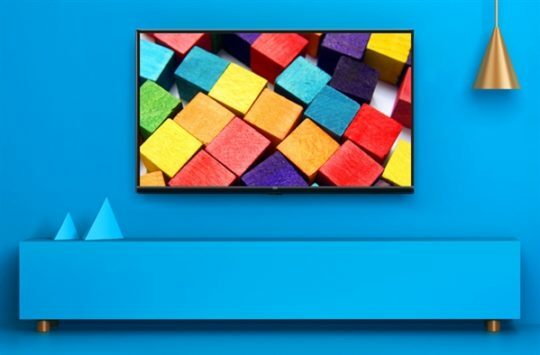 Xiaomi has announced the launch of their new 32" budget Smart TV, the Mi TV 4A. Quad-core processor, 1GB of RAM, 4GB of storage, $163. Xiaomi are renowned for their incredible value-for-money smartphones and it looks like they're planning on introducing that model to their TV segment. The Chinese manufacturers have announced the launch of their new Smart TV, the 32" Mi TV 4A, and it will sell with a bargain price tag of $163. The 4A is the smallest Xiaomi TV yet, and its obviously targeted at the budget demographic. Specifically, young, low-income adults who may just be moving to their own apartments. Like all Xiaomi TVs, the 4A has a beautiful design, with slim bezels, and a deep black plastic case. It has a viewing angle of 178 degrees, 60Hz refresh rate, dual 5W speakers, two HDMI ports, an AV port, a USB port, and a connector. Internal configurations in mind, it features a quad Cortex A-A53 1.5GHz processor, with 1GB of RAM, and 4GB of storage. It's an amazing package for the price, really, but there's a catch: It only sports a 1366x768 resolution display, which may be a deal-breaker for some. Still a good option for those in its intended demographic, though. The Mi TV 4A will go on sale on July 23.